Have you ever fell in love with something you once hated? For the sake of being totally honest, that’s how I feel about list building. Especially in the beginning. 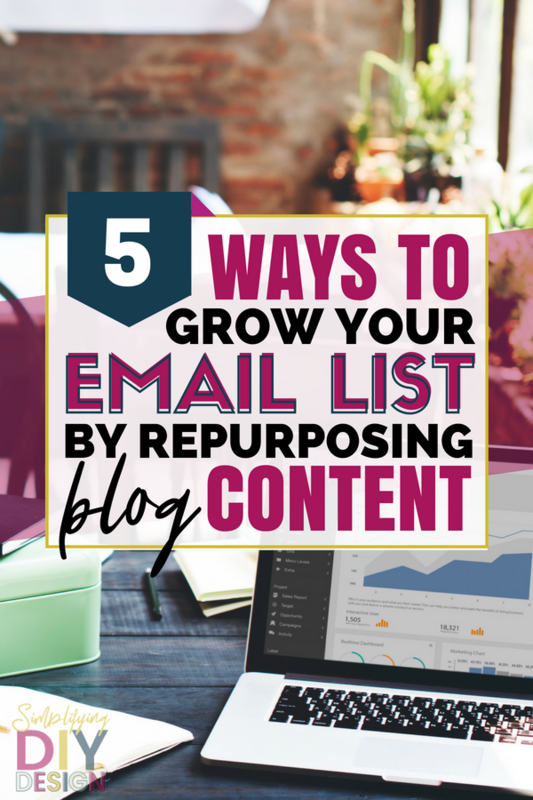 The first piece of actual blogging advice I ever got was to build an email list – Because the money is in the list. I didn’t know anything about building, and email list and I didn’t know how an email list converted to money. My first attempt at a lead magnet was bad… It was just plain bad. In fact, my second and third and even fourth attempt was bad. I started doing follow-for-follow type things and was so excited about my first few subscribers even though they were totally random people that were NOT at all my avatar and would eventually unsubscribe. Waste of time. So obviously none of the things I was doing was working. I didn’t have a strategy, and I needed to learn more about list building. So I learned everything. I learned what I thought was everything. Then, I still struggled. I still was fighting for every subscriber. So I decided when I launched Simplifying DIY Design that I would really dig deep into my avatar. I also took List Love, a course created by a blogger friend who was getting about 150 signups a day. And that’s when my luck started to turn! I had 456 amazing new subscribers just in January of 2018 (3 months after launching). By my 7th month, I had gained over 1k subscribers… in just one month!! In fact, I was on track to meet my quarterly goal of hitting 1k subscribers by mid-late February! You can read my review on List Love here. Here are some ways you can repurpose content that you already have to make that perfect opt-in. Consider your related content and your top 10 posts. What is your avatar excited about? What are they always trying to learn about? What can you teach them about? Start a challenge (usually 5-7 days) based on that topic. Start a facebook group dedicated to that challenge and design a workbook to help your readers through the challenge. This can also be excellent pre-launch content if it relates to a paid offer that you can promote at the end. People joining the challenge will already be interested in that topic, and by the end of the challenge, if they have completed all the assignments, they will be EXCITED to buy from you. What is your top post? How can you make that post actionable? I usually recommend making some kind of actionable worksheets for all of your top posts. You can always have more than one lead magnet in each post. The reason worksheets work so well is that the reader most likely found your article by searching for a solution to their problem. 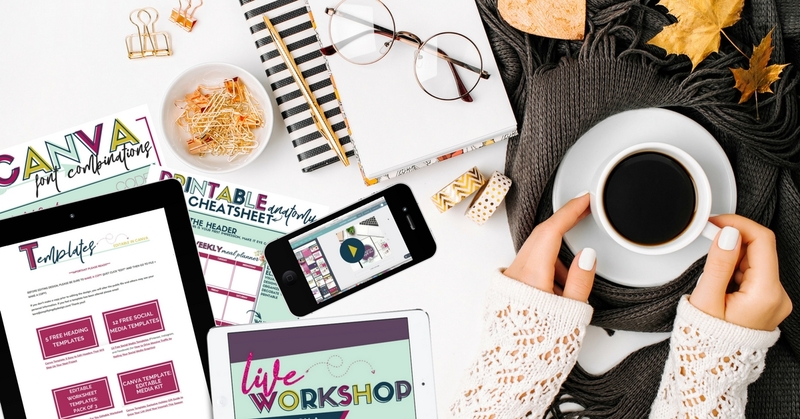 Here are 5 ways that creating a worksheet will grow your blog, like whoa. 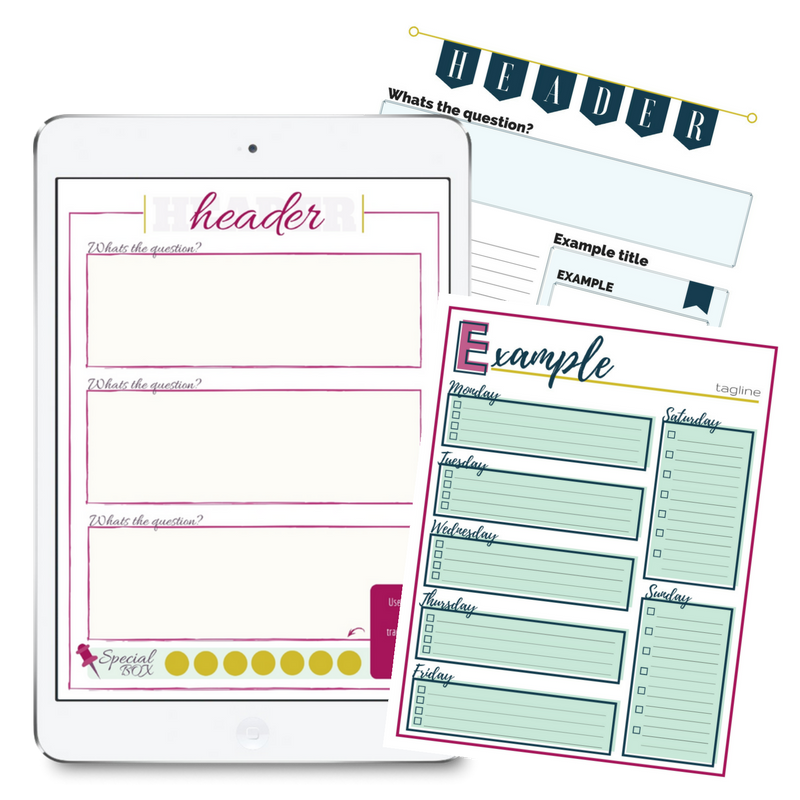 PS: Want to go above and beyond by creating printables AND worksheets? I have everything you’ll need to create the perfect printable lead magnet, here! Walk them through that solution! If they take action, they will find value. All you need is an awesome worksheet. 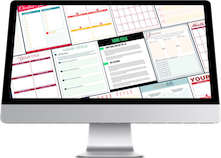 Side note: there is a package of 3 FREE editable worksheet templates3 editable worksheet templates in our design library, created just for YOU! Consider your related content again. Is there a way to piece it all together to form a mini ebook that you can give away? You may have to add a little more content to beef it up and make it flow, but you can repurpose most of what you have already written and put it together in a pdf. You can do this simply in word, or if you want it to be professionally designed and eye-catching, you can consider an ebook template like this one. You can also put together a slide deck (fancy blogger word for powerpoint) and record a video of the slide deck being played along with your voice in the background. You can deliver the videos over a few days or again, set up a free course on teachable. 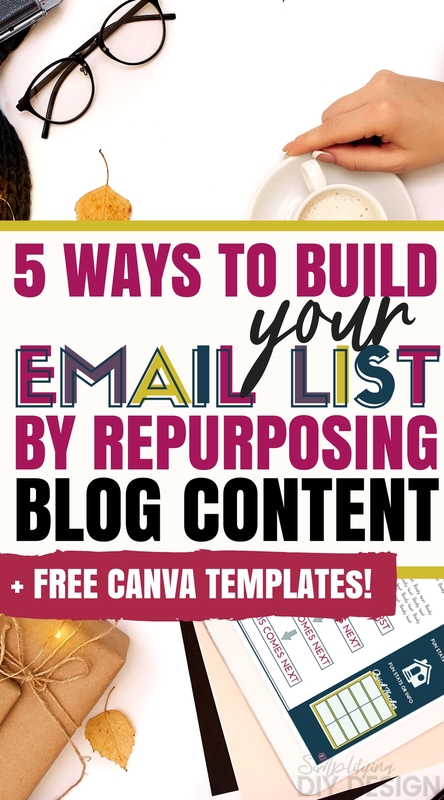 Each of these ideas can be designed in Canva! In fact, there are templates available for a lot of them in our resource library. The list makes all the difference. Build it from day one. Nurture it from day one. You don’t need to “wait” until you have a ton of people on your list to start writing to them. I know it seems like extra work. Honestly, I write my emails first and my blog posts second- sometimes even repurposing pieces of my newsletter for my blog post. But trust me, even if you have 2 subscribers; they don’t know they are the only ones on your list. For all they know, there are thousands on your list! And if you promoted a $50 product to those 2 people and they both bought it because they know and trust you, well that’s $100 you didn’t have before! Building your list should be the top priority. But it doesn’t have to be hard. Start with repurposing and go from there. 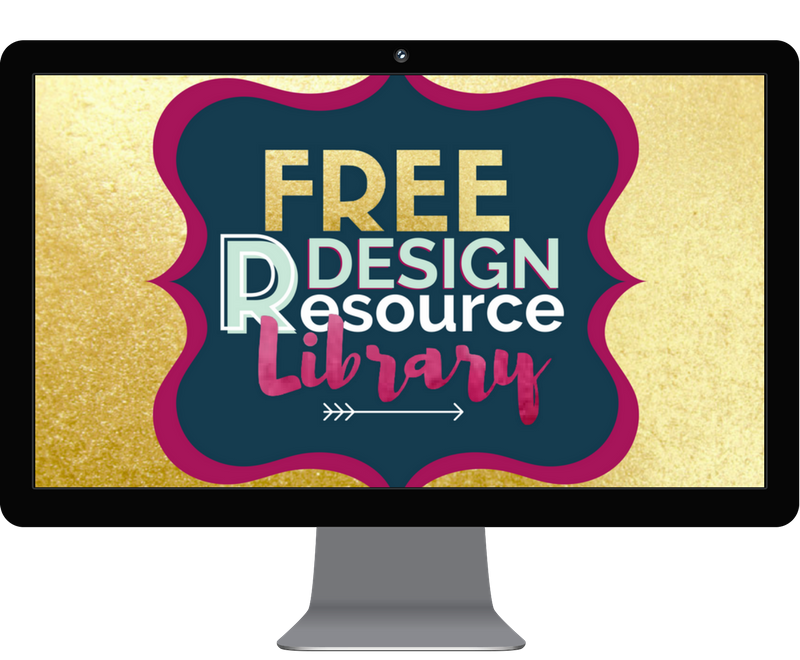 Our templates are included in our FREE resource library! 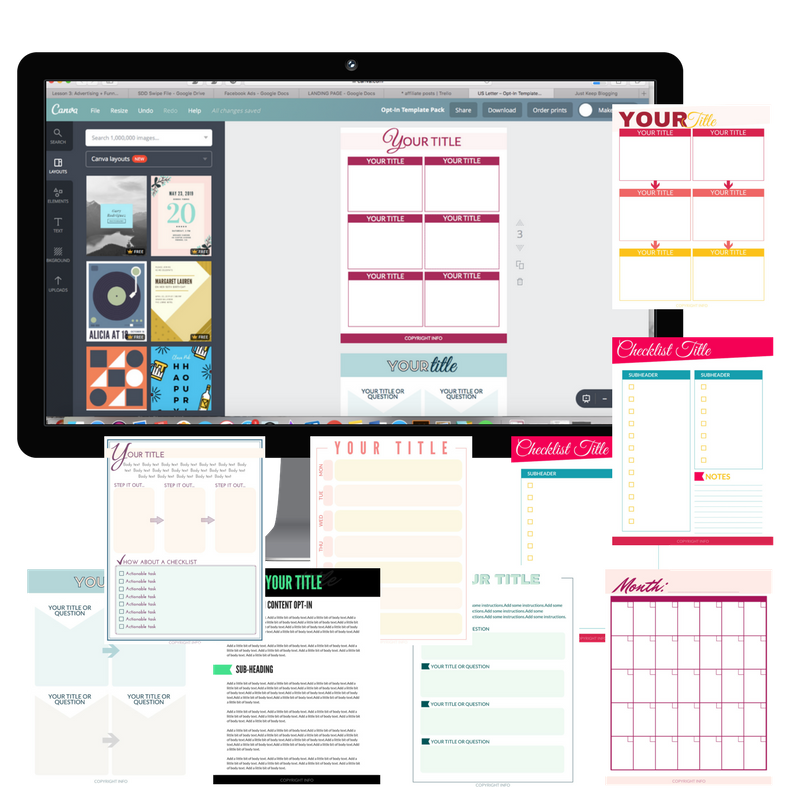 By filling out the form below, you will get access to not only all our free templates, but all of our step by step tutorials, design tools, Trello boards, planners, etc! 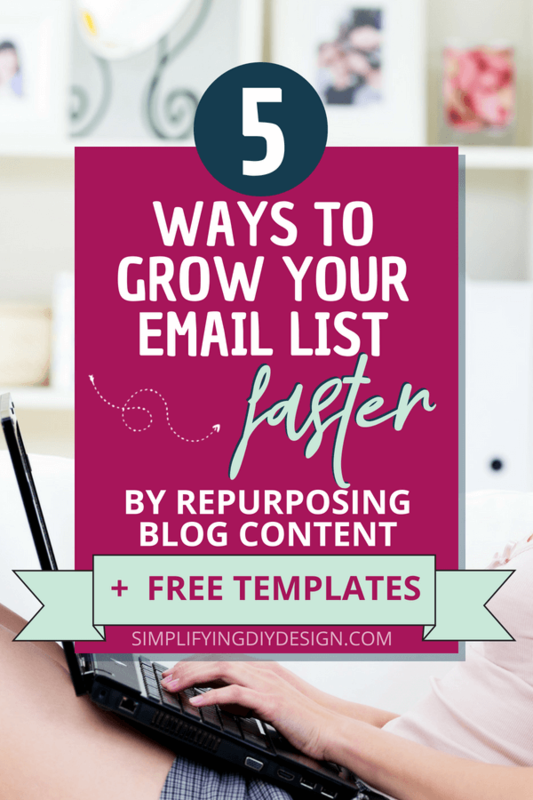 Its the second time I heard to not make the mistake to launch a blog without a plan to grow an email list. i guess I am taking this advice really serious, now. Do you have any feedback on MailChip. The reason I ask is because in the beginning I will be not generating any income so I am gathering information and resources that are free to start with until I get some income.